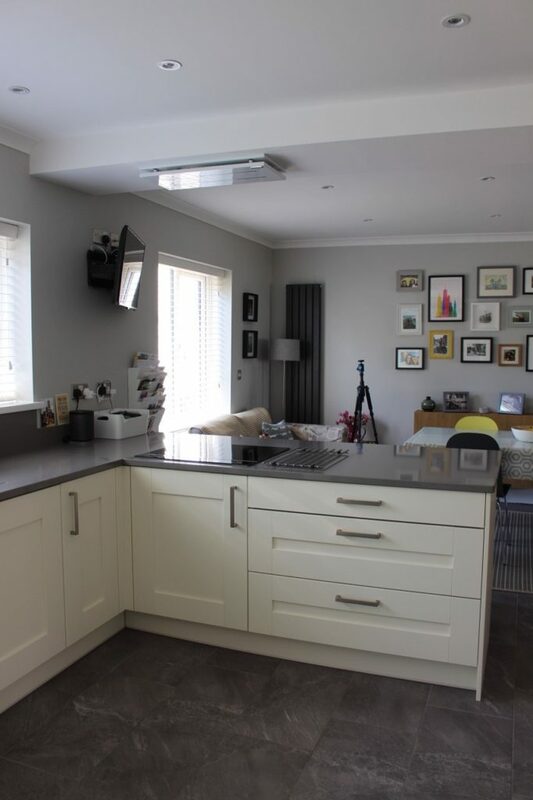 Want a spacious open-plan kitchen-diner but fear the costs of an extension? You may have another option: reconfiguring your existing setup. At the same time, you could open up dark or pokey rooms and create a fresh living space without the hassle and expense of an extension. Before you grab your sledgehammer and take on your wall, check through our answers to some frequently asked questions. They’ll help you make sure you have the right experts on board – and that your home remains upright. 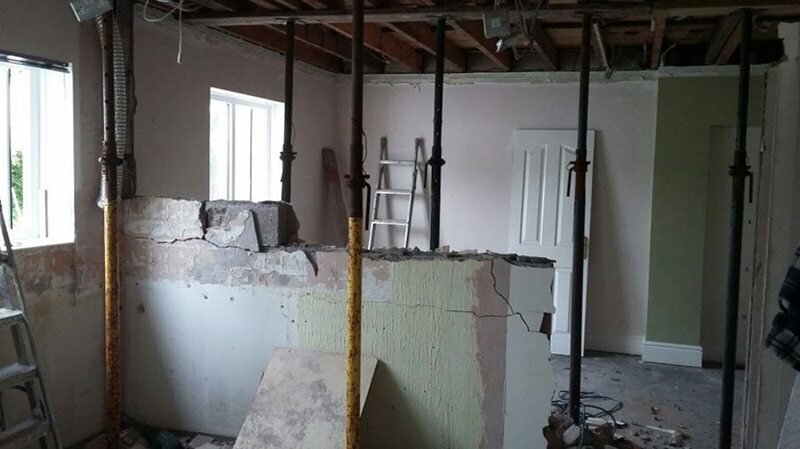 Generally, you don’t need to apply for planning permission for internal alterations, including removing internal walls. However, if you live in a listed building, you will need listed building consent for any significant works, internal or external. Plus, depending on whether your wall is load-bearing or not, you may need approval from your local council. Read up on our guide, 10 things you need to know about planning permission. It’s worth considering whether you need expert help regardless of the planning situation. “If it’s simply a single wall removal, you won’t be needing an architect,” says Jo Buckerfield of Your Space Living. “But if it’s something more complex, such as the removal of more than one wall, I’d always go to a good architect before anyone else. Can I remove the wall myself? Your next step – and a crucial one – is to work out if the wall you want to remove is load-bearing or non-load bearing wall. A load-bearing wall supports the weight of other elements of the house, such as the roof or a wall above, so taking it out without professional help could have a dramatic effect on your home: “If the building isn’t supported correctly during the removal then there’s a risk of the building actually collapsing,” warns Thomas Williams of Price Your Job. At the very least, you could find that the structural integrity of your home is compromised if you remove a load-bearing wall. In contrast, non-load-bearing walls don’t support anything above them. In other words, they carry just their own weight, so they’re relatively easy to remove: “A sledgehammer and some degree of common sense is pretty much all you need to get started,” says Jo. How do I know if a wall is load-bearing? You can also look upstairs to see if there’s a solid wall directly above. This can indicate that the wall you want to remove is potentially load bearing, so you’ll need professional help. Want a second opinion? Ask your builder to come and inspect the wall for you. He’ll quickly spot if it’s load-bearing. “If you’re removing a structural wall, then you don’t need planning permission but you do need to adhere to building regulations,” explains Jo Buckerfield of Your Space Living. My wall is load-bearing – what happens now? 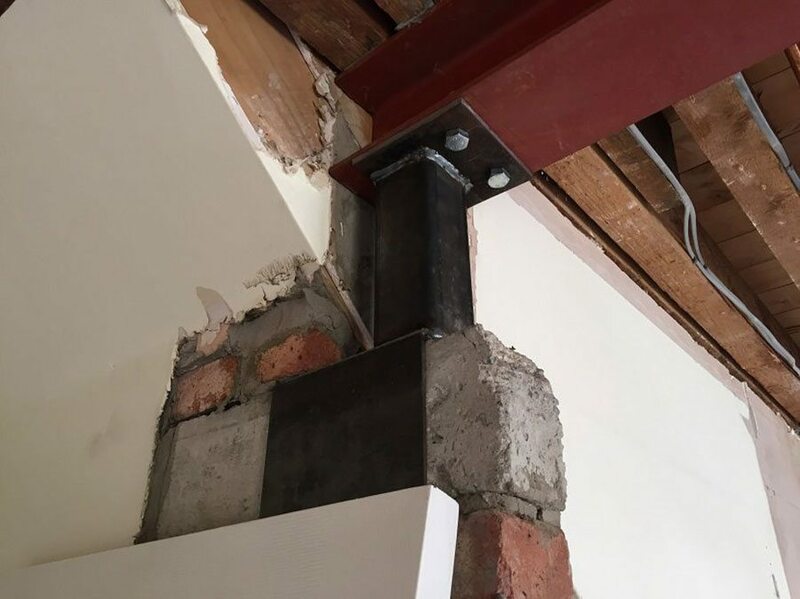 If the wall you want to remove is load-bearing, you’ll need a reinforced steel joist (RSJ) to support the upper floor when the wall’s removed. A structural engineer can help you here: he or she will calculate the correct load needed and create drawings. These calculations and drawings are then given to a builder who will liaise with a steel fabricator to manufacture the steel joist and deliver it to site. Once the steel is fitted, a building inspector is invited to inspect it and make sure it complies with the drawings and calculations. The steel is then boarded with fire-board, plastered and painted. When the work is complete, the building inspector will sign off the project and issue a building approval certificate. If you don’t have the necessary paperwork, you will be required to commission an engineer to check what the builder has installed and produce calculations. This will be at your expense. How do I find a reliable structural engineer? Ready to get going? You’ll need your structural engineering calculations before you can sign off your builder’s quote. After all, without the structural calculations, how will the builder know what steel to price in? So, to find an engineer, start with your builder: it’s likely he’ll have local contacts. If you have to find your own, check with friends and family members who’ve had building work done, or use the search tool on the Institution of Structural Engineers website to find registered engineers in your area. Then, however you’ve tracked down your engineer, check his or her credentials before handing over any money or signing a contract. As you might expect, there are several factors that affect the cost of removing a wall. One is its size: “The longer the wall, the longer it’ll take to knock down, meaning higher labour costs,” explains Thomas. “You’ll also have to buy a larger RSJ,” he adds. Thomas advises budgeting between £200 to £300 for a structural engineer, from £400 to £800 for labour costs, £120 to £175 for skip hire and around £300 plus VAT for a six-metre RSJ, £200 plus VAT for a four-metre RSJ or £100 plus VAT for a one-metre RSJ. 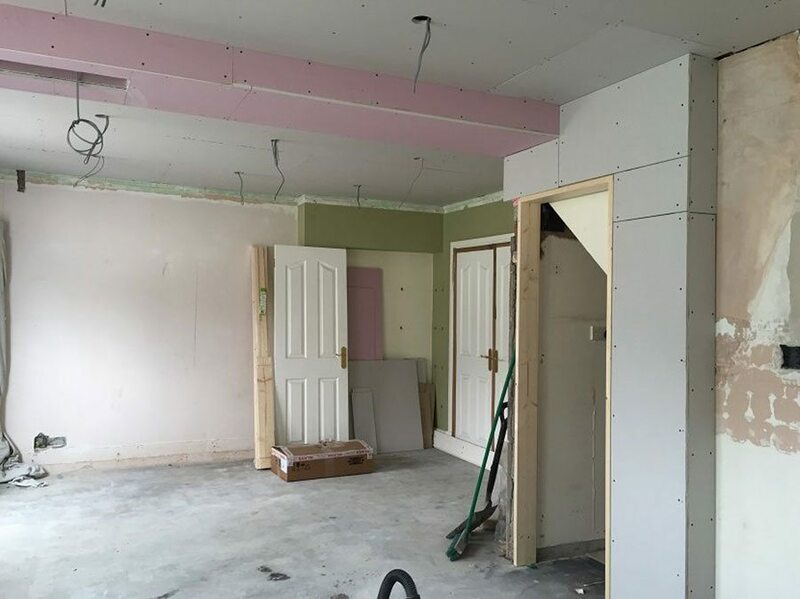 “Building regulations dictate that the steel joist is wrapped in non-flammable commercial plasterboard, which is about 15mm thick,” explains Jo Buckerfield of Your Space Living. What else do I have to think about? If you’re planning to move a radiator, this will also bump up the cost of the wall removal. Set aside around £250 if you’re installing an extra radiator or £150 if you’re just moving an existing one. “This may also need a little touch up, but you could do that yourself,” says Thomas. You could incur some extra costs if things go wrong, and your insurers may need to know your plans to make sure you’re covered for this. Otherwise, you could be left with a big expense and, worst case scenario, invalidated home insurance. Make sure you’re up to speed on handling home insurance when you’re making home improvements. How will a steel joist affect the look of my room? 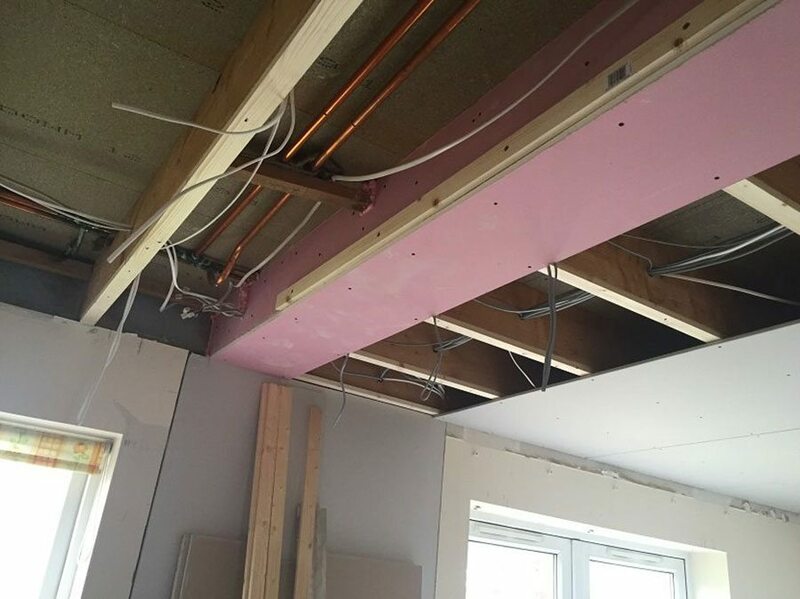 If you would like to create a seamless link between two former rooms, recess the steel joist into the ceiling as demonstrated by this project by Your Space Living. Once you’re finished, give yourself an edge on decorating by reading our guide to paint finishes.